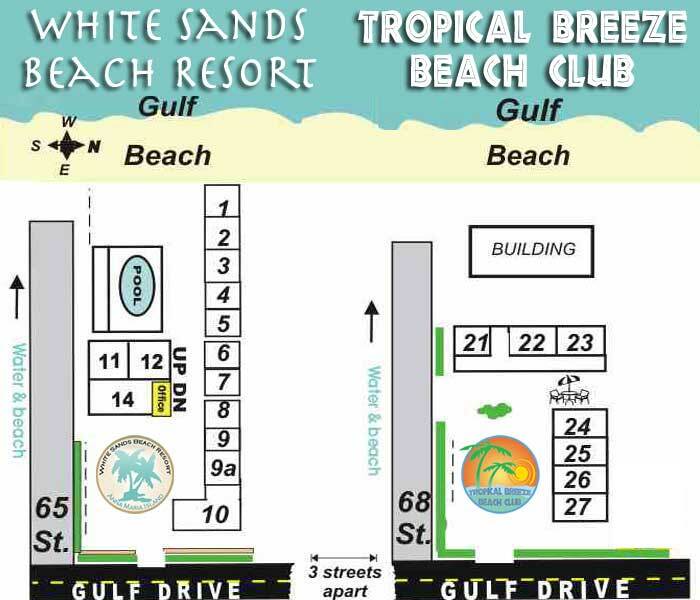 White Sands Beach Resort is a small family owned and operated hotel located only a few steps from the Gulf. 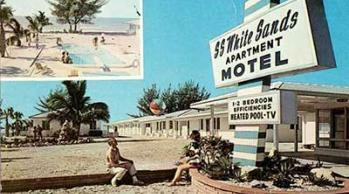 White Sands has has existed since 1950's, offering it's hospitality to thousands of guests, many whom have become lifelong friends. Our sister property, Tropical Breeze Beach Club has been a part of our resort since 2003, and accommodates those seeking even more privacy and relaxation. 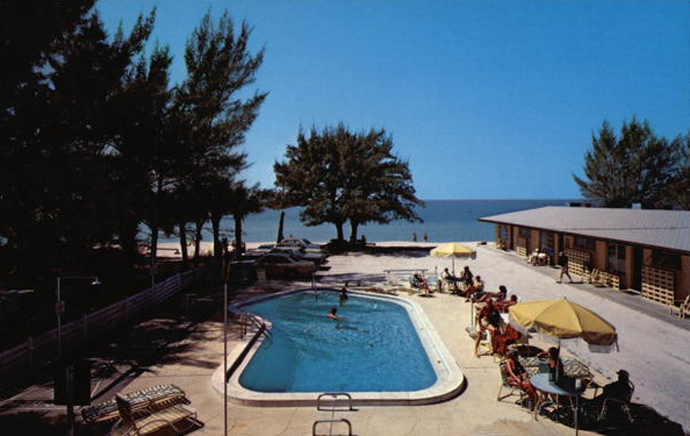 Anna Maria Island and Holmes Beach has changed since 1950's, but our philosophy has remained the same, allow our guests to relax and enjoy their visit. Our Resorts have retained the charm of the Old Florida of the past... laid back, unassuming and relaxed... but it belongs squarely in the Florida of today, with amenities like wireless internet, flat screen LCD tvs, shopping and dining only minutes away. All of our rooms have a full sized refrigerator, microwaves, stove tops and glasses and utensils so that you can make yourself at home and and prepare your own meals. But if you do want to eat out, the Beach Bistro is only steps away, and offers fine dining on the beach. Top it off with courteous friendly service and you end up with a truly one of a kind beach resort that everyone can enjoy. 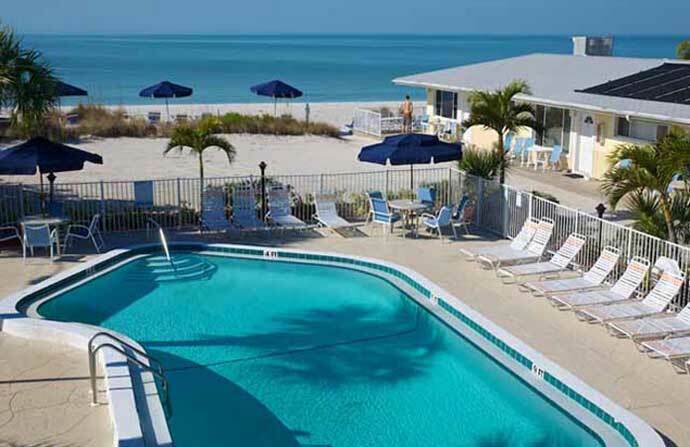 Whites Sands How it is Today: Anna Maria Island Florida's White Sands Beach Resort has been a vacation destination for over 50 years. Over the years, as taste change, we have made sure to have all the creature comforts of home. Complete kitchens, Free WI-FI, Free DVD's and DVD players, Playstations2, 42 inch TVs, Free local calls, Air conditioning and much more. Yet, we have stayed true to the resorts heritage and what has made it great: it's old Florida charm, low rise building, friendly staff, and clean rooms. We're a family oriented resort, and our great guests help complete our resorts wonderful charm. Unlike big chain resorts, where everyone is a stranger, at White Sands Resort, guest becomes family, neighbors becomes friends that will last for a lifetime. Come, visit our resort or just stop by and say hello, we'll be glad to meet you. We have been family owned and operated for over 35 years. Sea Turtles Need Your Help!